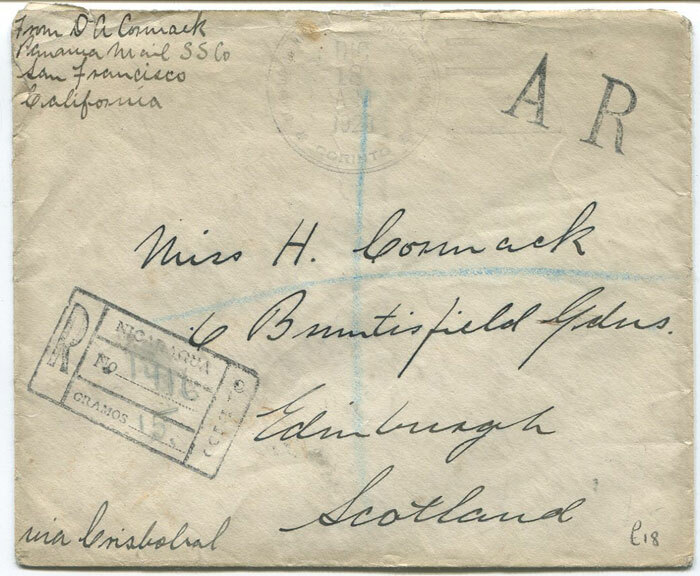 1920 registered cover from Nicaragua to Scotland with AR h/s. 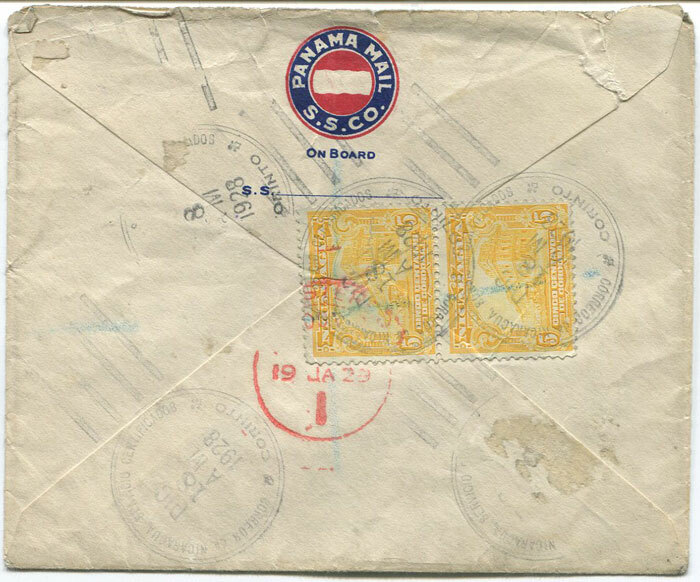 10c franking tied by Corinto cds's. 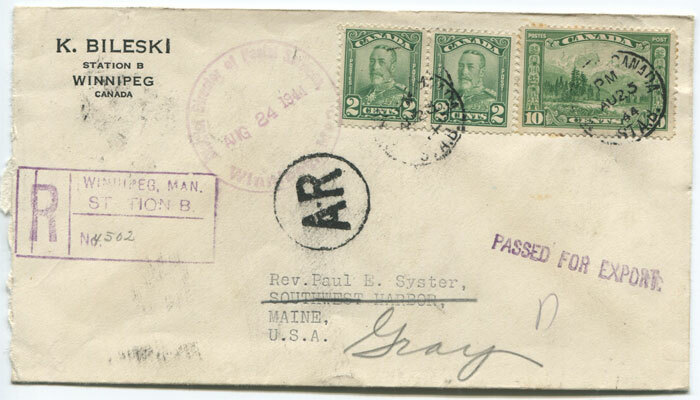 1944 'AR' (advice of receipt) handstamp on registered cover from Canada to U.S.A.